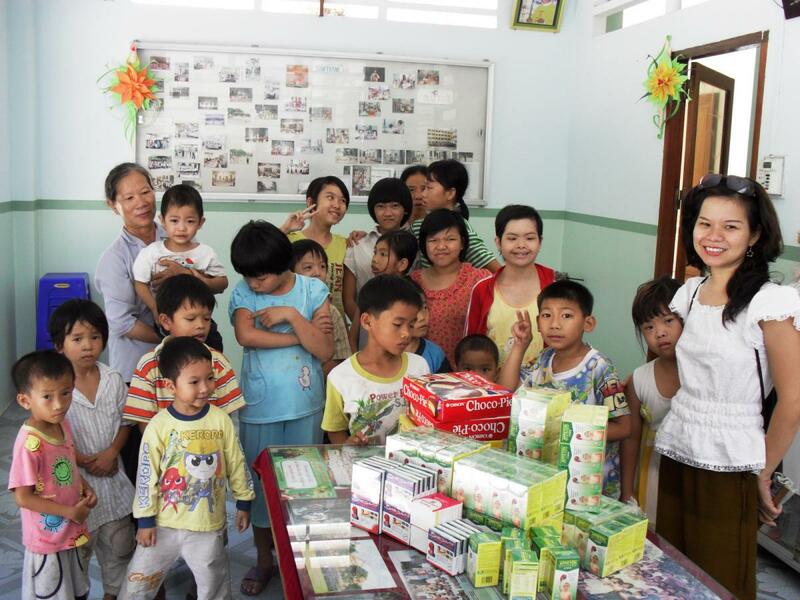 On April 23, 2010 we made a trip to the Hoi Am Thua Sai Home for Disabled Children, and visited the wonderful kids being cared for by Sister Le Thi Hoe of the Hoa Yen Catholic Church. Sister Hoe had let us know that some of the kids were in need of vitamin supplements. 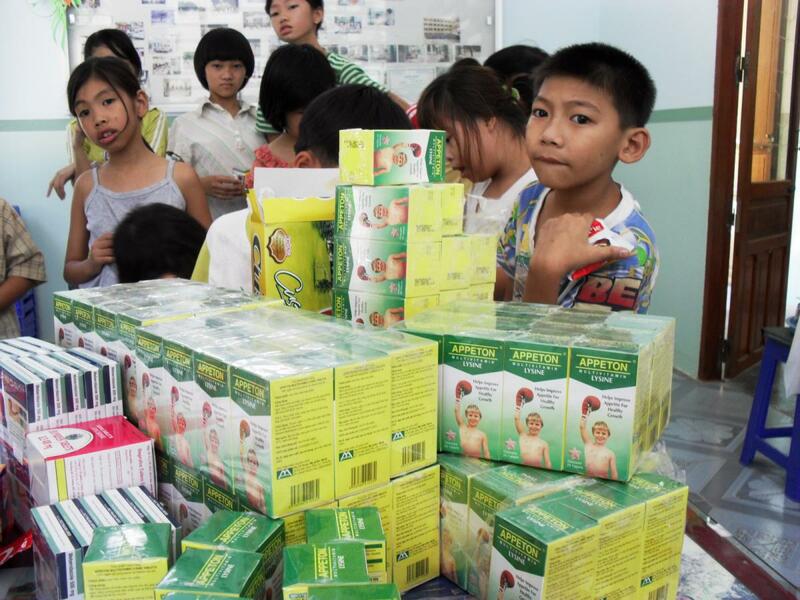 She also told us that many of the kids were suffering from intestinal worms, which is a common ailment in impoverished communities in Vietnam. We brought 50 boxes of children’s vitamins and 25 doses of mebendazole to treat intestinal worms, one for each of the children at the home. This trip was made possible by the kind donations of Etienne and Chi Poitau of Maiche, France. Etienne and Chi came to Nha Trang in February and wished to help those less fortunate in the area. Their generosity truly made a difference in the lives of these children.